Rajinikanth gets International Villains for Kabali. 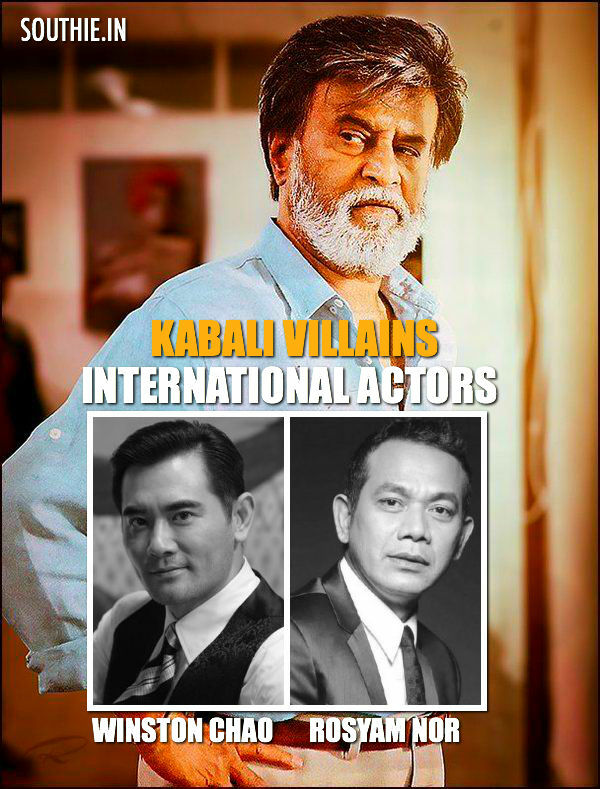 Home/NEWS/Rajinikanth gets International Villains for Kabali. Rajinikanth gets International Villains for Kabali. Winston Chao and Rosyam Nor actors from Taiwan and Malaysia get a chance to play villains for Rajinikanth. There was a lot of speculation as to who the villain in Rajinikanth’s film Kabali would be. The name of actor Jet Li was doing the rounds but it looks like it’s going to be two villains for the film and not one! Sources have revealed that Pa Ranjith’s film starring the Superstar will have a Malaysian actor and a Taiwanese actor. The two actors in fact are in Chennai shooting for the film. Malaysian actor Rosyam Nor and Taiwanese actor Winston Chao have been roped in for the film. Rosyam Nor is a two-time Asia Pacific Film Festival Award-winner. He is also a stage actor and executive producer. Winston Chao has won several awards for his work in films and on TV.